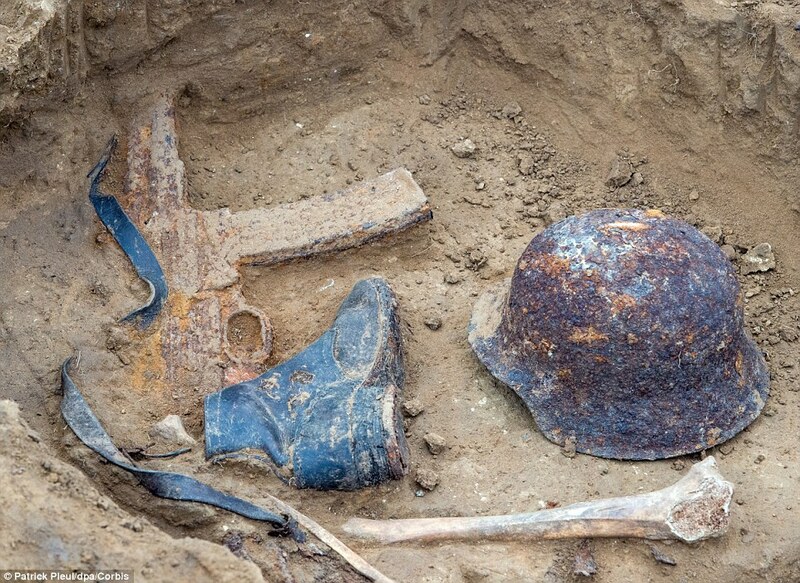 Still wearing their boots and helmets, and carrying their weapons, the bodies of German soldiers who died in the Battle of the Seelow Heights have finally been unearthed. 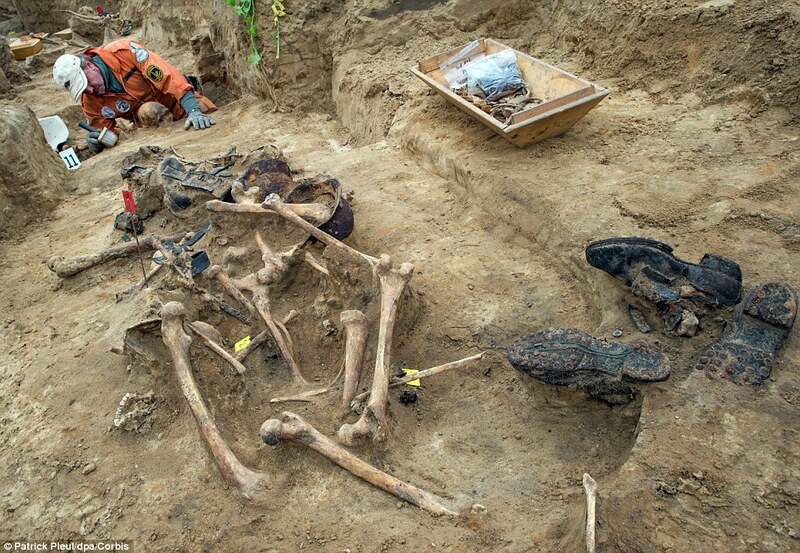 A team of archaeologists - the Association for the Recovery of the Fallen - have uncovered the skeletons of men who died defending Berlin from the soldiers of the Red Army in the final days of the Second World War. 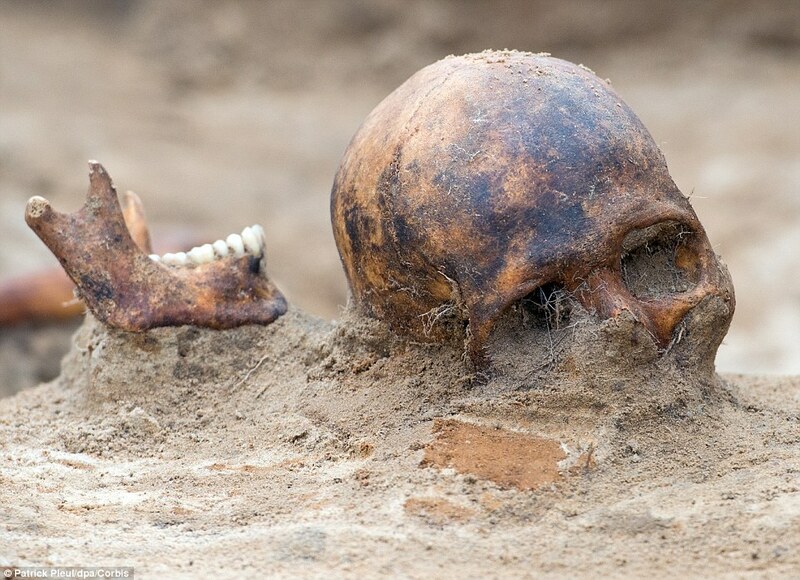 The dig, in Klessin, Brandenburg, brought to the light weapons, helmets, boots and the bones of those fighting to protect the murderous Third Reich. In many cases the German soldiers are still wearing their helmets and boots, made of more durable material than their battlesdresses which have worn away. 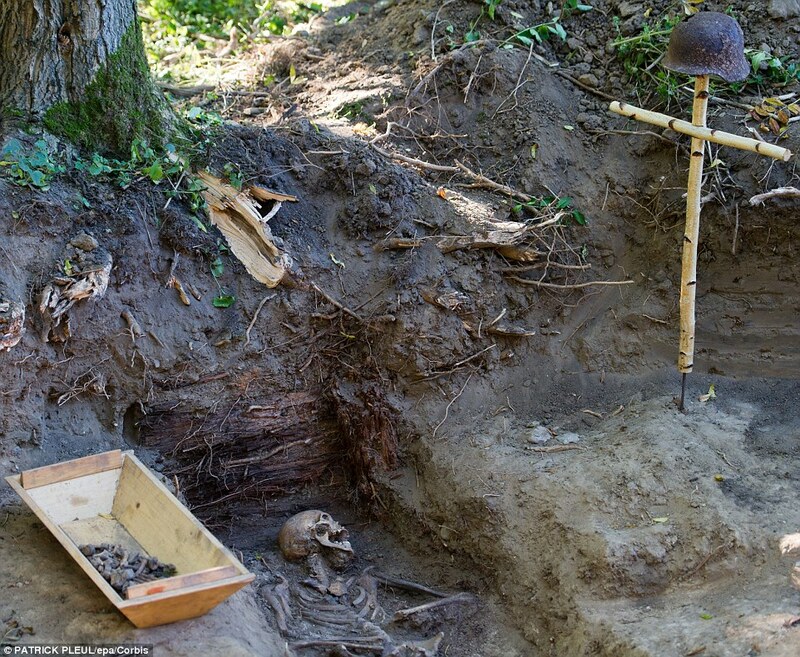 In keeping with the spirit of respect the Association fosters, a simple wooden cross was set up at the site, topped with a distinctive 'coal scuttle' German helmet found in the earth. 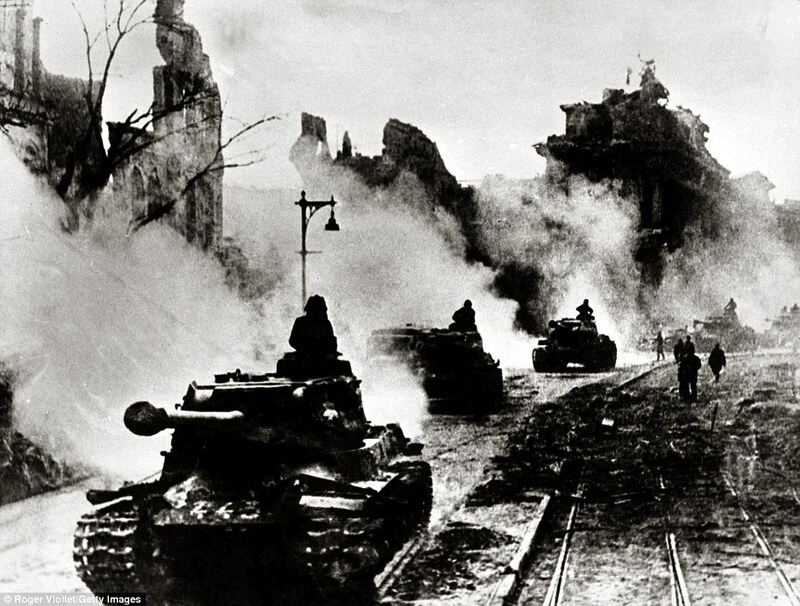 The battle was part of the Soviet assault on Berlin, lasting three days in April 1945. Almost a million soldiers of the Red Army under the command of Marshal Georgi Zhukov, attacked the position known as the Gates of Berlin. Defending the German position were110,000 soldiers of the 9th Army. Seelow Heights was where some of the most bitter fighting in the overall battle took place. Fighting began in the early hours of April 16 with a massive bombardment by thousands of artillery weapons. On the third day the final line of the Seelow Heights was breached leaving nothing but fractured German divisions between the Red Army and the chancellery in Berlin. The number of Russian soldiers thought to have died ranges from 5,000 to 33,000, while some 12,000 German troops perished. 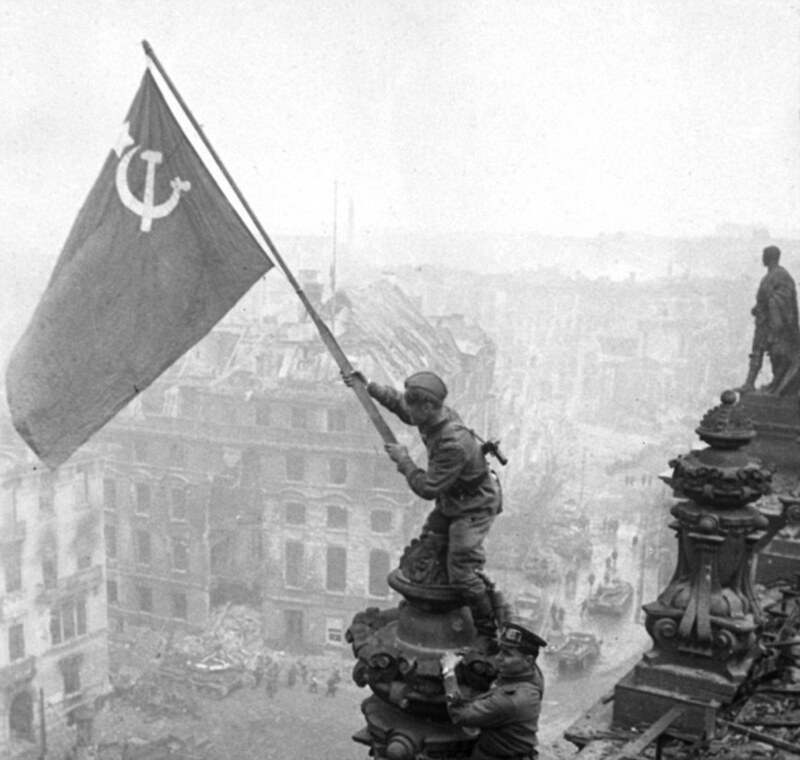 By April 23, the German capital was fully encircled and the Battle of Berlin entered its last stage. 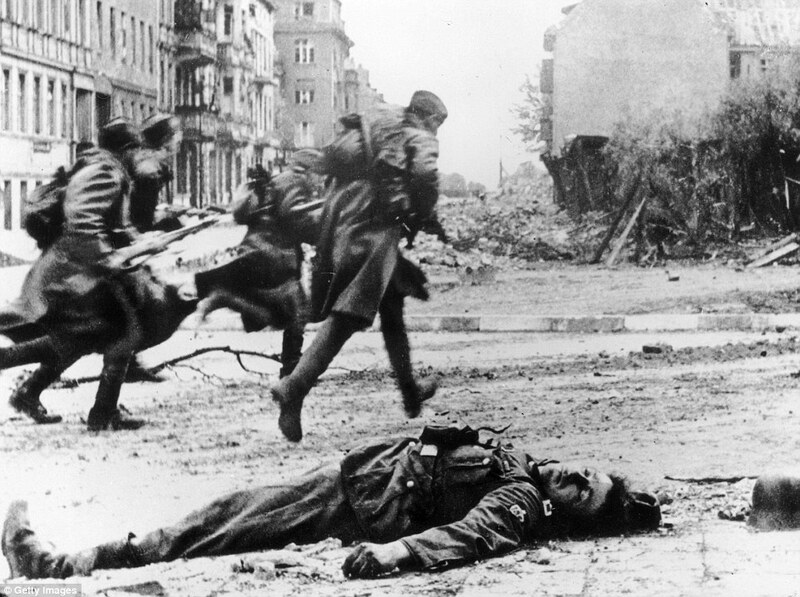 Within a fortnight, Adolf Hitler was dead and the war in Europe was effectively over. 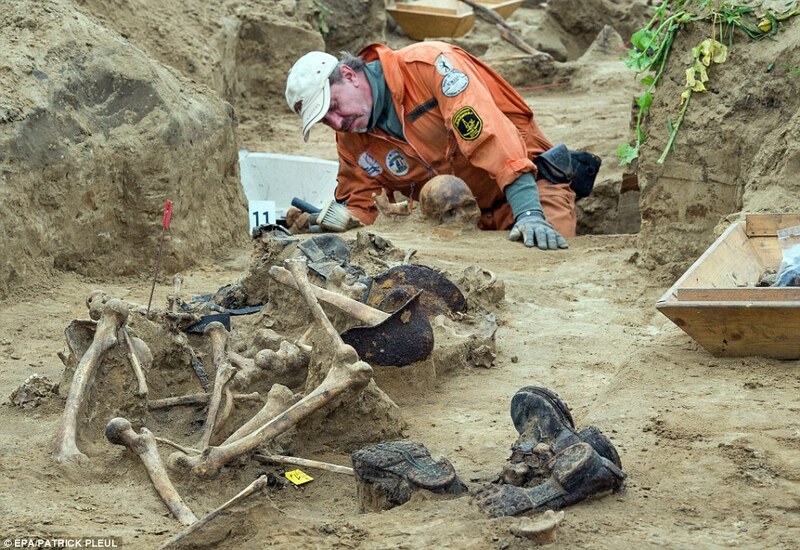 For many of the German soldiers who died in the battle where they fell is where they have remained ever since – buried deep in mud and soil - until now. 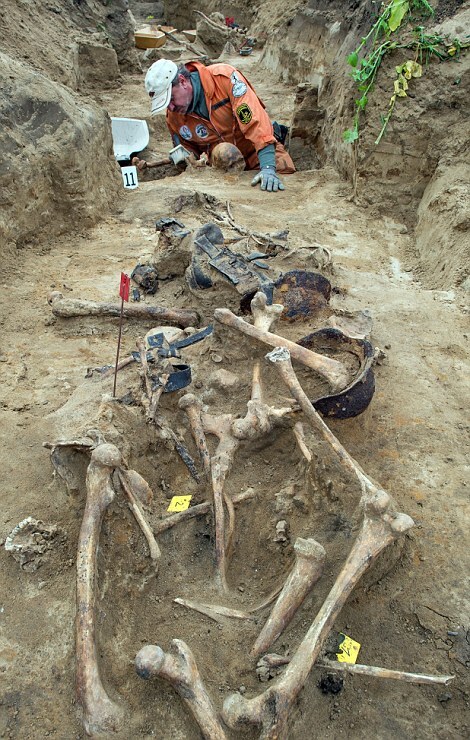 The Association for the Recovery of the Fallen, which consists of volunteers from Germany, Russia, Ukraine, Holland and Switzerland, was founded in 1992, with some 200 members working as volunteers. 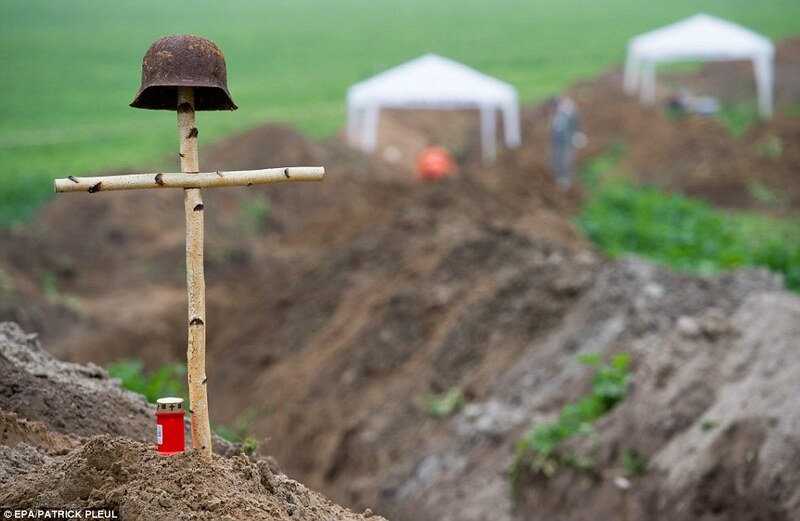 In memoriam: A cross is planted in the ground above a trench and adorned with a German helmet. 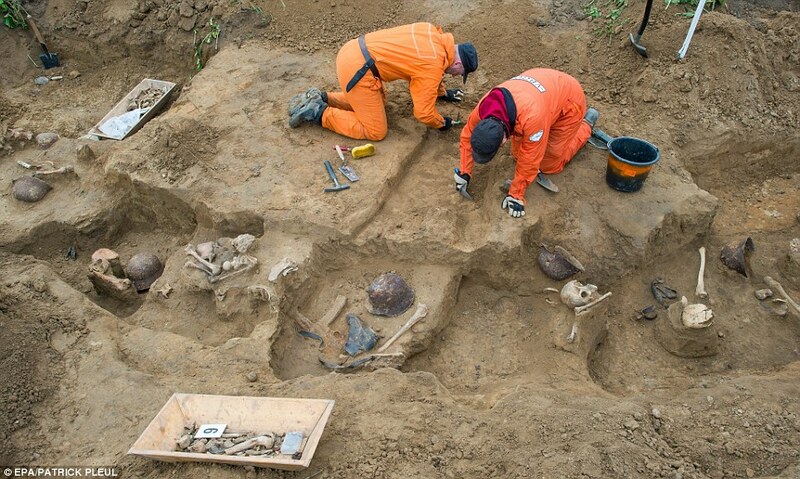 The association's mission statement on its website says: 'We are searching for the nameless dead, who lay without commemorative stones in the mass graves of War or were buried somewhere, as individuals and are considered as missing. 'We want to restore people to their name, which was taken from them over 60 years ago. 'We are not looking for soldiers of the Wehrmacht, not for U.S. GI's, Marines, soldiers of the red army or Polish Military - not for infantry, soldiers, sailors or airmen - not for Good or Bad. 'We are looking for people - Sons, Fathers, Brothers.